Hi Everyone! If you’ve ever wondered how is distant healing performed, I’m here to shed some light. 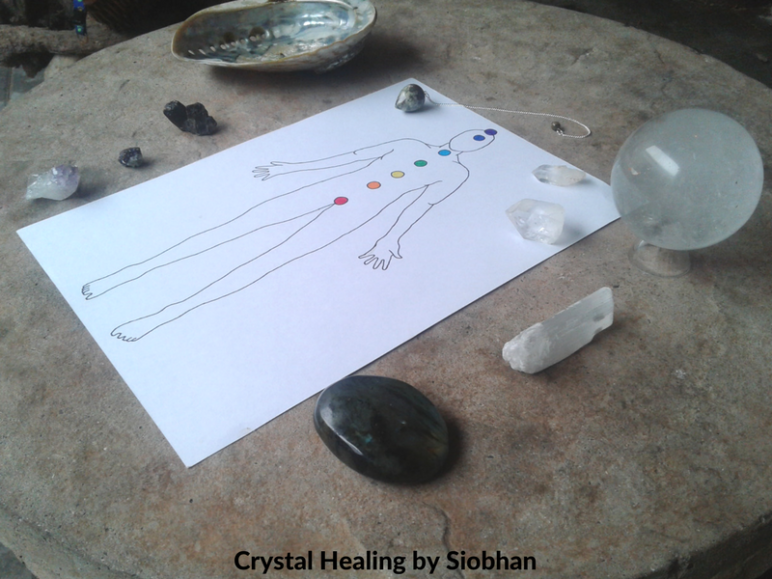 I predominantly find myself doing distance healing and I’ll share with you about distance healing, what it is and how crystals work for distance healing. Distance healing with crystals is the directing of energy to you from me even though we are not in the same physical space. We are all energetic beings and because energy goes where your attention flows, this is what allows the transferring of healing energy from one being to another. It is the conscious direction of the intention to send healing to you. Crystals assist with healing because they have a perfect, repeating atomic structure which the chaotic, tired or drained human body tries to work towards. The body starts working towards that stability and balance. Crystals also amplify energy so they assist to amplify the energy that is being sent. Any crystals that I use during a session I choose intuitively. Sometimes before a session, I get a feeling of stones that I need to take out of my spare box for an upcoming session OR during the session I’m just drawn to a particular stone. I trust what Source tells me to use. Jasper Pendulum bought from Rare Earth Crystals. I decided I’d film a short video to demonstrate how is distant healing performed and how I do it. This will give you a basic idea. This video may include me going on about my lipstick as well LOL! You can watch the video directly on YouTube HERE. What to expect after a Distant Healing session? Each person experiences energy healing in a different way. You may feel relaxed and balanced, energized, motivated or you may feel nothing at all. If you feel a little drained after a session, this could be your body adjusting to the healing energy. This shouldn’t last long. After a session, always pay attention to what you’re feeling and experiencing so that you can get back in tune with your body and spirit.